If you have a dispute in respect of costs, whether in respect of your own Solicitors fees or an award of costs against you or in respect of costs awarded in your favour, it can be a very traumatic and stressful time. Even if the dispute does not cause any anxiety the application of the technical costs rules can create unwelcome uncertainty as to how the dispute will be resolved. The legal rules and procedures can make your situation appear quite daunting and it can be difficult to decide what to do and how to proceed. This is why you need the help of an experienced Solicitor to help you make decisions and guide you through the legal process in the costs dispute. We work hard to provide all clients excellent representation ranging from advice, just answering any questions, addressing concerns to full assistance and services. When discussing any cases we always weigh the pros and cons including the legal and practical sides and will advise you on risks, cost issues and settlement options that are available. We can also explore alternative dispute resolution and represent you in any mediation of your dispute. The technical rules as to costs are different depending on whether you are dealing with the payment of costs to or from a third party, where the costs rules are similar even though the roles are reversed, compared with the different rules which apply to a dispute in respect of your own Solicitor’s Bills. As the rules are quite technical and there are some important tight time limits and deadlines it is important that you are able to use the services of an experienced costs team to resolve your costs dispute. When it comes to costs disputes and civil court work we have over 30 years experience of pursuing and defending costs disputes. We have the know how and expertise to assist you in expert analysis and representation in the civil court. 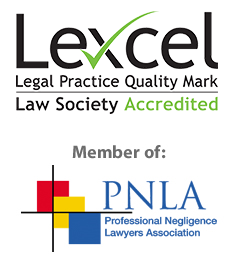 In addition to the expertise of our Solicitors we are able to rely upon the additional expertise of specialist Costs Lawyers and Counsel and other experts appropriate for your case, from our contacts built up over many years. We have a lot of experience in complex and valuable cases, which means that whatever the amount in dispute or the issues arising your costs dispute will be in safe hands. It can be very stressful when dealing with any type of legal matter so finding the right company to handle your specific situation may be a daunting task but we are here to do everything in our power to get you the satisfaction and resolution that you deserve. We realise that legal costs can be a great worry when you need help and support from a Solicitor which is why we offer a free enquiry which will allow you to contact us via telephone or email without obligation to ask any questions that you may have, address any concerns or to discuss your specific needs and the best way to move forward. If you decide to move forward with us we will provide you with a written estimate of the likely costs involved.